Fortunately, the costs of biological invasions are being recognized, with major policy initiatives such as the international Ballast Water Management Convention put in place recently, the researchers note. The Convention, which entered into force in 2017, represents the latest global effort to control bio-invasions through measures such as ballast exchange—a method that has been effective at reducing invasion rates in the Great Lakes of North America. "While it's too early to gauge the efficacy of the Convention globally, our work suggests it is in the right direction," Leung says. 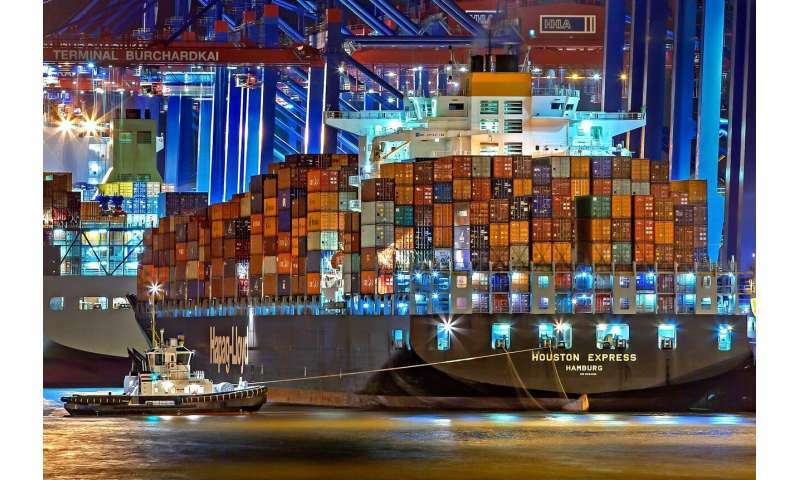 To project rates of global shipping traffic growth, and the consequences for biological invasions, the researchers built computer models using socioeconomic-growth scenarios developed as part of the United Nations' Intergovernmental Panel on Climate Change (IPCC). As wealth and population increase, so too does demand for goods and services that aren't available locally. The wide range for increases in bio-invasion risk estimated by the models—anywhere from three-fold to 20-fold—stemmed from uncertainty in the underlying socioeconomic trajectories. How can challenging species be a bad thing? Disruptive yes, but it will cause an evolution to make all species stronger and cause a greening of the earth.